By J. Rabone & Sons, Birmingham & London. 12"/30cm steel rule with imperial measurements to one side, metric on the reverse. Air Ministry crown marked with 1938 date. 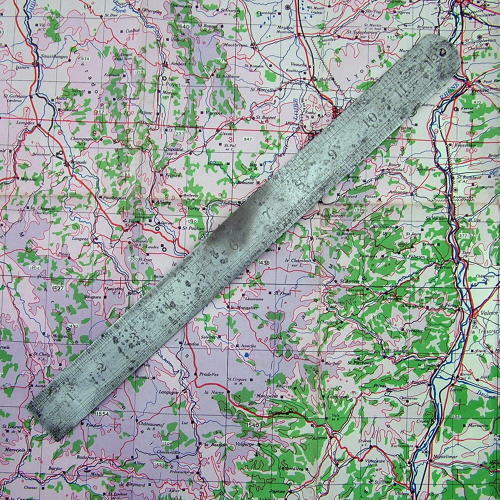 This could have been used by engineers on a RAF base or perhaps by a Navigator when plotting routes on a chart. Sound condition though does have surface marks and wear as seen in the photographs. The sale does not include the map shown. Stock code M21944.